I like a good zombie film as much as the next person; unfortunately the next person happens to be a little obsessed with zombies. I occasionally get dragged into discussions with him like: "what would you do if a zombie came through the door right now?" or "a zombie army is shuffling down the main road and about to turn into our street, what do you do?". 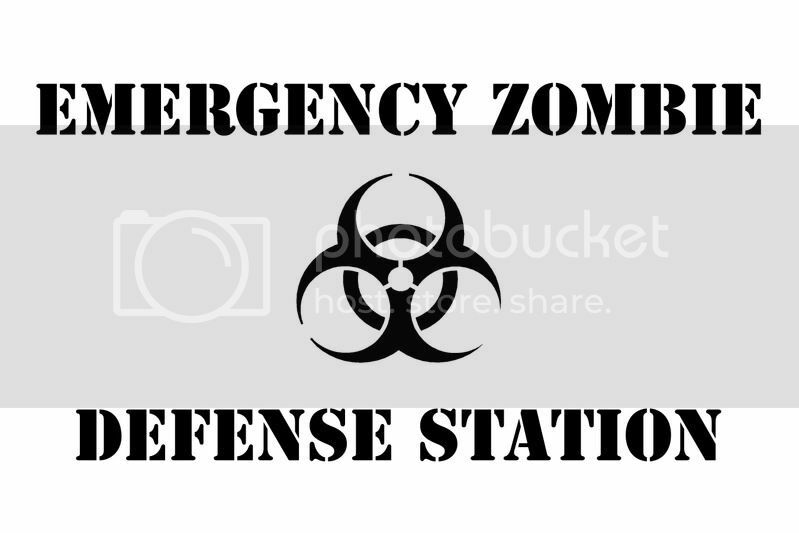 Well now I have an answer: reach for the Emergency Zombie Defence Station which is WAY better than the "In Case of Zombie, Break Glass" found on techeblog. 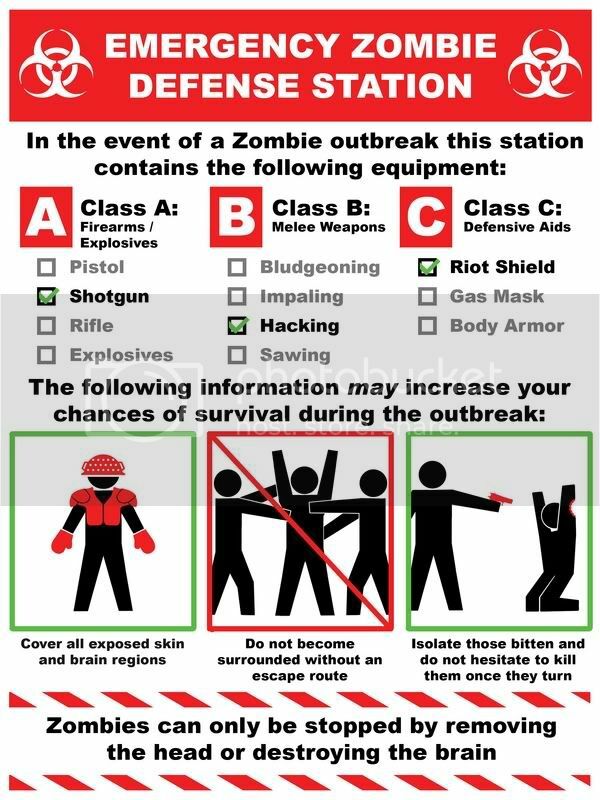 Marvel at its awesome-ness (scroll about half-way down for the sign, which is my favourite bit) and remember, "only you can stop the Zombie outbreak!"